India is a country of many castes, creeds and religions. From as early as Alexander’s army to the Mughal invaders, the British, Portuguese, French and Dutch colonialist, people have come here in search of the abundance of India. Here is a story of how some people came to India many centuries ago in search of a peaceful life. Before the 8th century AD the dominant religion in Persia was Zoroastrianism. It was the first religion to believe in only ONE all-powerful God and was practiced in what is modern-day Iran. When Islam began to grow in popularity, Arab tribes started invading land around Saudi Arabia and converting the people who lived on the lands they conquered. They finally reached Persia and began to force the people there to convert as well. The Zoroastrian people were not equipped to fight because they practiced a form of religion that was peaceful but neither did they want to give up their religion. To avoid religious persecution they began to board ships and flee to India. When they arrived in Gujarat local rulers offered them asylum and allowed them to settle in their kingdoms. As the story goes, when the spiritual leaders were taken before King Jadi Rana of Gujarat to ask if they could settle on his land, the king asked them to explain their customs and beliefs. After recognising that they would not be a threat to his kingdom he presented the leaders with a full glass of milk. He said that his kingdom was like a cup about to overflow and therefore had no room for immigrants. One of the leaders then put a pinch of sugar into the cup and told the king that his people would not make the kingdom overflow but enrich the community. King Jadi Rana was very pleased with this response and granted them permission to stay if they promised to adopt the local language and clothes and never bear arms against the king. Since there was no name for this religion or group of people when they arrived on the shores of India they were given the name Parsi, which literally means Persian. The Parsis came to India so they could maintain their culture and way of life. This meant that they also brought along their Shenshai calendar. According to this calendar the new year falls sometime in August and is known as Pateti or Parsi New Year. Pateti is actually new-year’s eve and a day on which people are required to think about all the good and bad things that have happened in their lives during that year. They then reaffirm a promise to live their lives through the tenets of Zoroastrianism- Good thoughts, Good words, and Good deeds. Over the years Parsi New Year has become a single-day celebration that is celebrated on new-year’s day itself. Parsis visit the Agiari (fire temple) and offer prayers. They burn sandalwood in their houses and decorate their houses with chowk (rangoli- lime powder decorations). Parsi New Year is a time for feasting in Parsi households since people visit friends and family and are usually greeted with something to eat. 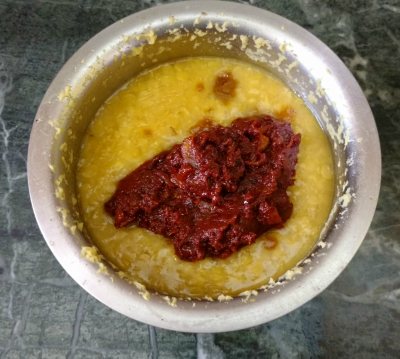 Breakfast usually begins with Ravo (suji or semolina prepared with milk and sugar) or Sev (vermicelli cooked in a sugar syrup and served with raisins and almonds). For lunch there is usually, Sali Boti (a mutton gravy) and Patra-ni-Machchi (fish prepared in banana leaves) and Dhan Dal Patio or Palao and Daar (which is what I'm sharing today), there’s always some sutarfeni or jalebi from Lookmanji's (a sweetmeat shop in Mumbai that is much loved by us Parsis) to finish the meal. This recipe not really difficult to put together though it may seem so at first, but there are pictures to help you along the way. Heat sufficient oil in a wok or kadhai. Heat pre-fried onions in a deep non-stick pan. Add ginger-garlic paste and sauté for 1 minute. Add mutton pieces and mix. Add chilli powder, turmeric powder, salt and cumin powder, mix and cook or 3-5 minutes. Add 1 cup water, mix and cook on low heat for 45 minutes. Heat 3-4 cups water in another deep non-stick pan. Add cinnamon, 2 bay leaves, peppercorns, 3 green cardamoms, 3-4 cloves and salt and bring water to boil. To prepare koftas, mash a potato in a bowl. Add the mince and mix. Add salt, chilli powder, turmeric powder and cumin powder and mix. 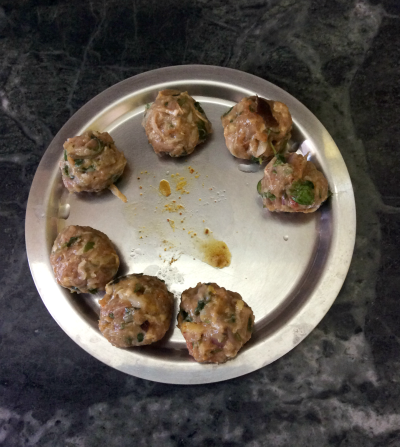 Divide the mixture into equal portions, shape into balls and deep-fry in hot oil till golden and crisp. Cut 2 boiled potatoes into 4 pieces, add to mutton mixture and mix. 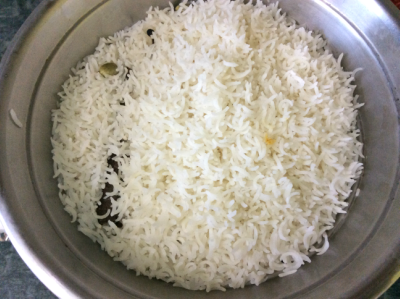 Layer cooked rice on top. Halve the eggs and place on top of rice layer along with fried koftas. Spread some fried onions on top. 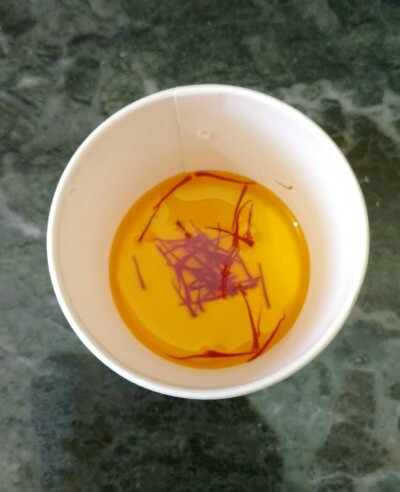 Take saffron strands in a small bowl and lightly crush with the back of the spoon. Add 2-3 tablespoons lukewarm water, mix and drizzle on top of layered rice. Place the pan on heat, cover and cook for 10-12 minutes. In a pressure cooker, pressure cook both dals, potatoes, aubergine, pumpkin and mint leaves on a slow flame for three whistles followed by further 15 mins on a low flame. However keep the drained water handy for later. 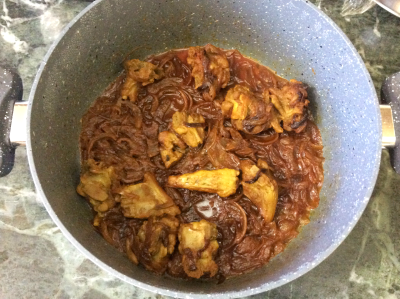 In a separate pan fry finely chopped onions until deep golden in colour. Add in tomatoes that have also been finely chopped. 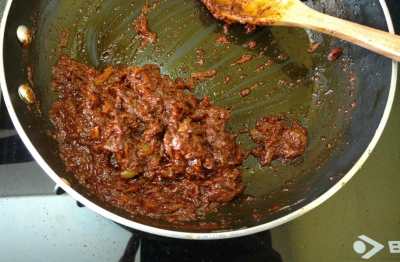 Add in HALF of this Dhansakh masala recipe into this mix or 2 tbsps of store bought masala into the mixture. Also add in chili powder, cumin powder, turmeric powder and coriander seed powder. 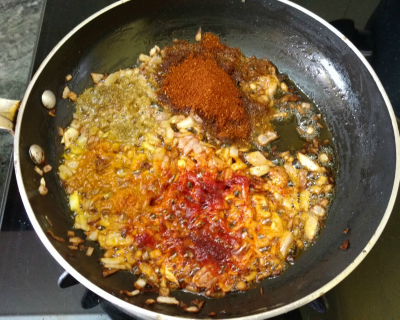 Saute till the spices loose their raw smell and your entire kitchen wafts of divine daar goodness. 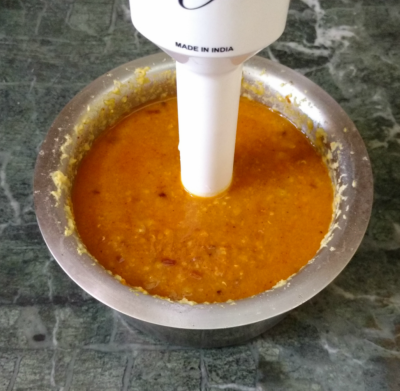 Now add this prepared concoction along with the boiled aubergine, pumpkin and mint leaves into the dal and blend until well combined. Add in salt and bring to a boil. Serve the Palaao with Daar and retire for your afternoon siesta. Wishing all of ADOT's readers a Very Happy and Healthy Parsi New Year Y.Z. 1387. Labels: Eggs, Enchanting India, Mains, Parsi Cuisine, Party Perfect!